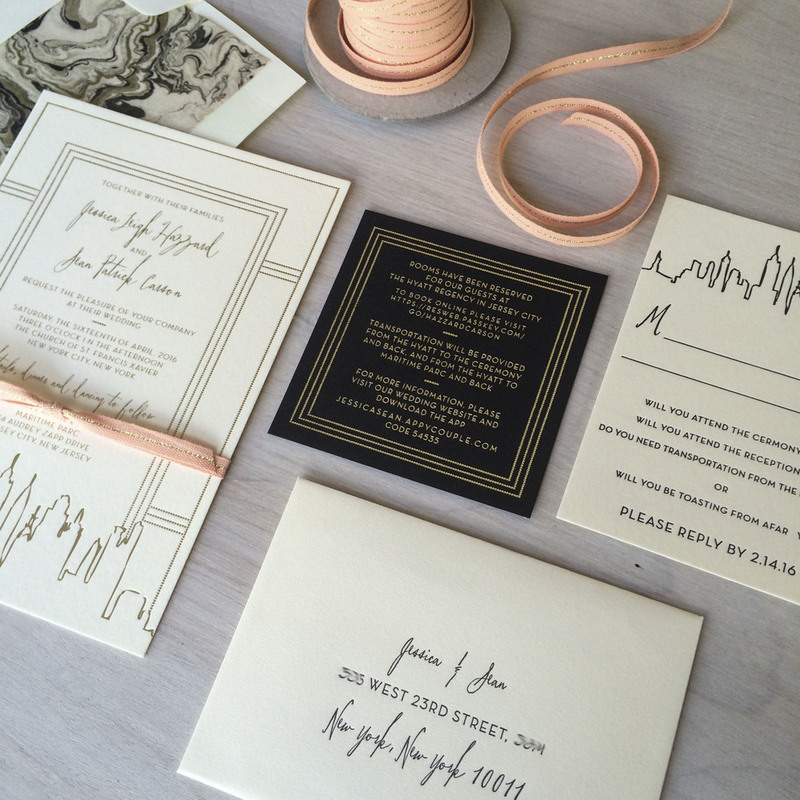 This is a three piece wedding invitation suite, plus informal notecards. It is foil stamped in a dusted matte gold, and letterpress printed in black on 100% cotton, natural white stock and black recycled paper. The envelopes are lined in a gold and black marbleized paper and the suite is tied with an Italian cotton metallic stripe ribbon.